Vocabulary is the foundation for better comprehension. There is always an air of pride and joy on the occasion of events at TJIS, Bangarpet. 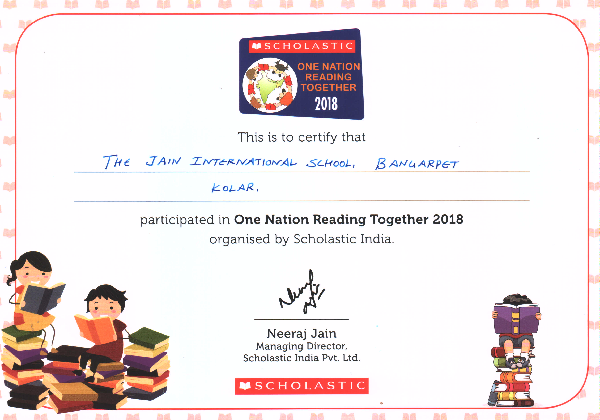 Our school was a part of One Nation Read Together organized by Scholastic India on 30 November 2018. To make the day more exciting, a GRAFFITTI Wall was put up where in classes from Fundamentals to grade 10 identified a unique English word to display on the wall. The team from all the departments, admin, canteen, and security also contributed their word on the GRAFFITTI wall. The class for giving the best word was greatly appreciated and honored by Word Wizards of 2018 award. The motto of the day was also to know about Reading Pledge, to read any book of their choice and to celebrate thirty minute reading as an activity for lifetime to promote literature and linguistic skills. 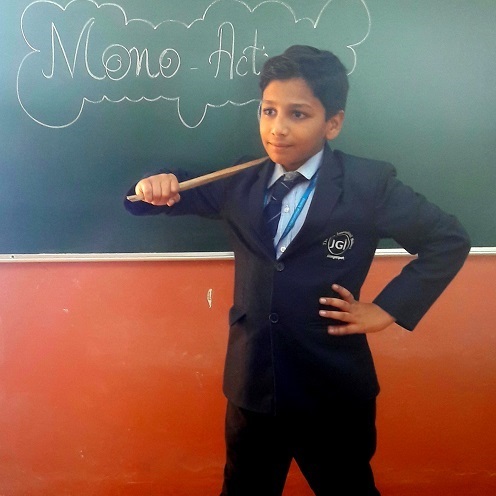 Mono acting is an art form which evolves both acting and intelligence. To help build confidence and effective communication skills. To engine great qualities of Kannada rulers and regional leaders. Outcome- An activity that promoted dialogue delivery, confidence and composure on stage its fullest potential. There was much of inspiration drawn from each of participant as they portrayed the characters. Dialogue is the most natural form of exchanging ideas. The purpose of a dialogue is to convey thoughts clearly, cogently and naturally. It is also to focus concentrating on the obvious techniques of projection, articulation and phrasing. To blend learning with fun, also to stimulate their confidence and imagination. To improve communication and oratory skills. To explore the stage, know the activity through powerful performances. Outcome- An evenly paced speeches of the pupils conveyed an impression of control, poise and self-confidence. 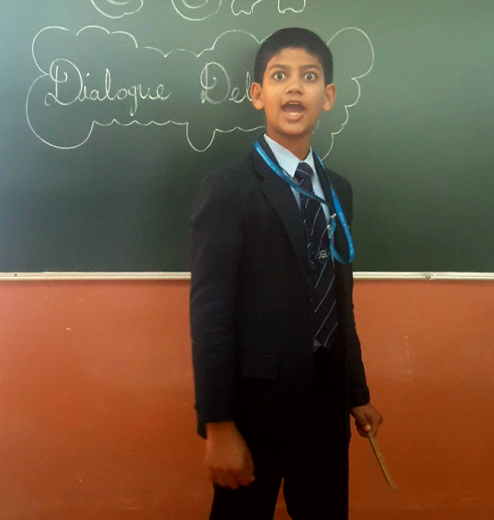 The emphasis was laid on voice intonation, stress, pause, raising and lowering the pitch during the delivery of the dialogue. Fancy Dress competition was an individual activity conducted for grade 1 and 2. To give them a chance to know various historical characters of Karnataka. An equal opportunity for all the pupil to develop confidence, explore the stage and speak before the audience. 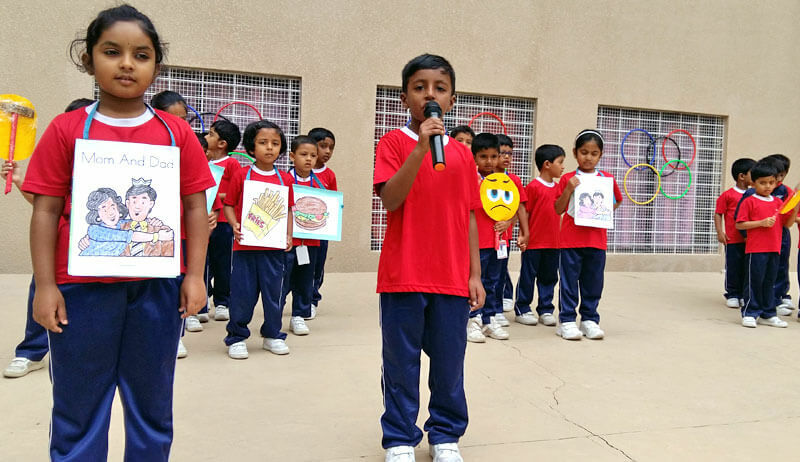 Outcome - The young participants dressed up as various characters like Kitturu Rani Channamma, Madakari Nayaka, Onake Obavva, Akkamahadevi, Kuvempu, Jhansi Rani Lakshmi Bai, BharataMata etc.Children spoke about their character they depicted. Students looked confident and gave their best of their performance. A spoken word game to help children articulate effectively. It is a learning exercise to connect tongue movements to sounds. It is also a technique used to pronounce the words quickly and correctly. To help them to know a sequence of words or sounds. To encourage them to know their language better. To engage students in fun loving game for apt reading and learning. Outcome-Students thoroughly enjoyed articulating phrases and words. 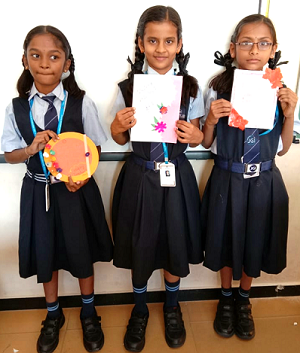 "Guru Brahma Guru Vishnu Guru Devo Maheshwaraha" - To mark the significance of this Teacher's Day card making competition was conducted for grade 1 to 5 on 1 September 2018. To give them platform to showcase their drawing skills. An opportunity to express their gratitude for their teachers. 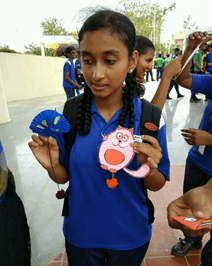 Outcome - Students designed their cards with color pencils, kundans, bindis, beads, mirrors, glitters using the other materials brought by them. The presentation was a treat for all the judges. A mixture of remarkable creativity and love for their teachers was well displayed by the students. 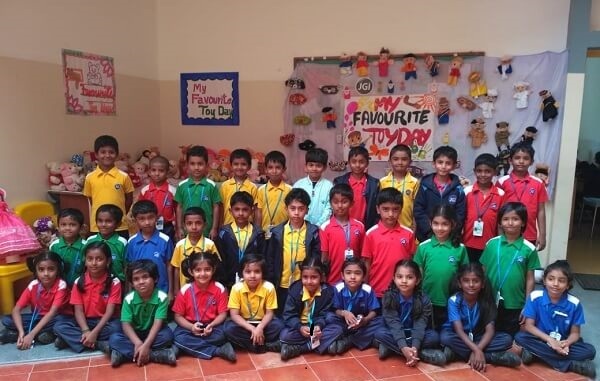 Grade 1 and 2 celebrated “Toy day”. Little hearts of Grade 1 and 2 were asked to bring their favorite toy. 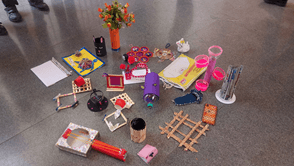 Children brought colorful, dazzling toys. Toys play a very important role in a child’s life. Toys help children to express their feelings and also helps them feel secure. Playing with toys develop various skills like fine, gross, motor skills, linguistic and social skills among children. The objective of organizing the “Toy day” was to provide them a home away home emotional experience. 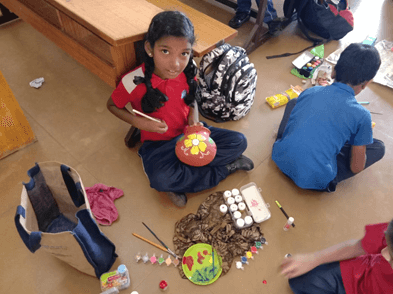 Best out of waste for kids is to ignite their artistic potential with crafts from waste materials using their inspiration, ideas and creativity, understanding that waste material is something found in the garbage or something that is normally intended to be thrown away. To make pupil aware about environmental issues and how to adopt a more sustainable life style. To progressively understand that resources should be used carefully, that they could reuse waste materials. A Bookmark is a thin marker, commonly made of card, leather or fabric, used to keep the readers place in a book and enable the reader to return to it with ease. The first book marker began to appear in the 1850s. One of the 1st references to those is found in Mary Russell Mitford's "Recollections of a Literary Life" in 1852. 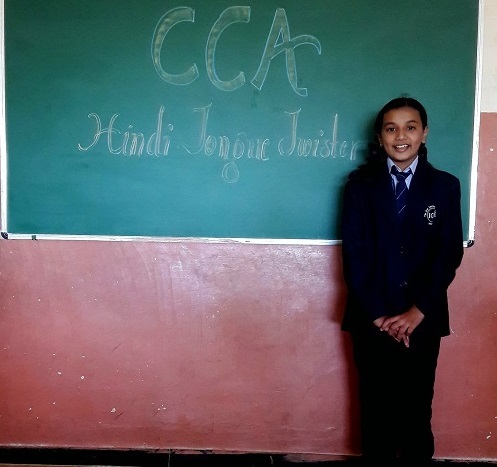 Children from grade 6 to 10 were given different themes. They used glitters, markers, handmade papers, satin tapes and glue to prepare their markers. The judgment was carried out based on the parameters-effective of design, creativity, neatness, overall effect and conviction of the message. 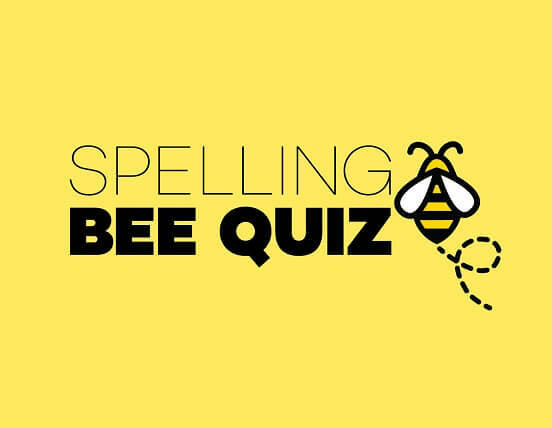 Spelling bee acts as a cement to connect between sounds and letters. Learning words can get students in tracing the origin of a word and its etymology. This brain activity will greatly enhance the knowledge of the child, even at a young age, and motivates them to develop a keen interest in learning words. To develop a range of cognitive skills. To allow children to compete in a supportive environment. To excel at reading and writing. To gain competency over vocabulary. Pot designing has been in existence for many years. Painting is the practice of applying paint, pigment, color or the medium to the solid surface. The medium is commonly applied to the base with a brush, but other implements, such as sponges, earbuds, vegetables, airbrushes can be used. Pot painting aids our children to develop mobility skills. It improves the knowledge of color pigments and creativity among the learners. Rhyming is just a part of phonemic awareness of working with language and sounds. It is a precursor to learn how to read and write. It is also a part of the early childhood experience, both in and out of the classroom. Story narration is a great skill to teach kids. It helps improve their language skills, instill a love of reading and stirs their imagination. Getting kids comfortable with speaking in front of audiences at an early age boosts their confidence level. 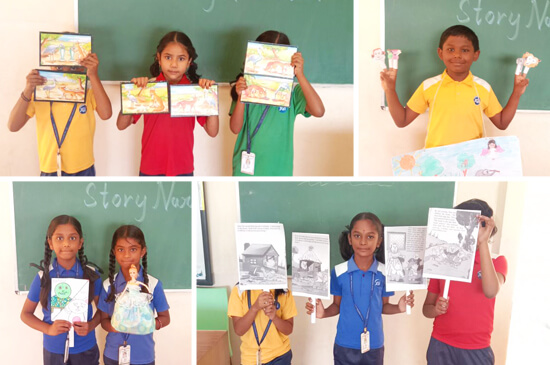 The stories of panchatantra were narrated by the children to focus on personification of inanimate objects, as well as animals, to invoke the intrinsic values and visuals that we are born with. Painting and carving above the rock is rock art. The first Buddhist cave monuments at Ajanta date from the 2nd and 1st century’s BC. During the Gupta period (5th and 6th centuries AD), many more richly decorated caves were added to the original group. The paintings and sculptures of Ajanta, considered masterpieces of Buddhist religious art, have had a considerable artistic influence. Rock painting is important because it represent the earliest form of creativity of human mind. They symbolize the beginning of all the art forms in the world today. A piece of rock when brushed with colors imagination flows, creativity blooms thus, creating an historic piece. 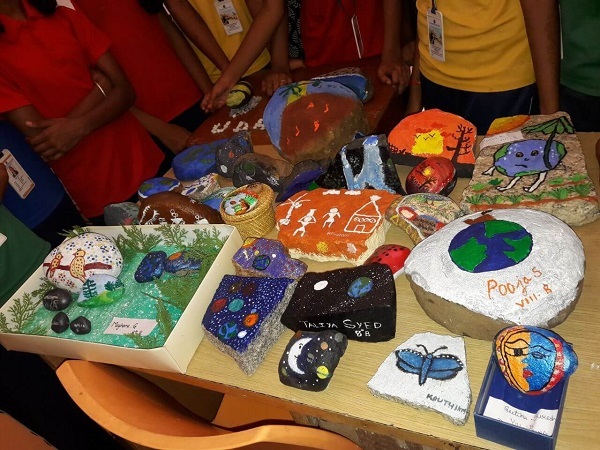 Different themes were given for the students to create their imagination on rock.